Saturday, Feb. 9 — Atlanta at Orlando, 8 p.m.
Saturday, Feb. 9 — San Diego at San Antonio, 8 p.m.
Sunday, Feb. 10 — Memphis at Birmingham, 2 p.m.
Sunday, Feb. 10 — Salt Lake at Arizona, 4 p.m.
Saturday, Feb. 16 — Salt Lake at Birmingham, 3 p.m.
Saturday, Feb. 16 — Arizona at Memphis, 8 p.m.
Sunday, Feb. 17 — Orlando at San Antonio, 4 p.m.
Sunday, Feb. 17 — Atlanta at San Diego, 8 p.m.
Saturday, Feb. 23 — Arizona at Salt Lake, 3 p.m.
Saturday, Feb. 23 — Memphis at Orlando, 8 p.m.
Sunday, Feb. 24 — Birmingham at Atlanta, 4 p.m.
Sunday, Feb. 24 — San Antonio at San Diego, 8 p.m.
Saturday, March 2 — Orlando at Salt Lake, 4 p.m.
Saturday, March 2 — San Diego at Memphis, 8 p.m.
Sunday, March 3 — San Antonio at Birmingham, 4 p.m.
Sunday, March 3 — Atlanta at Arizona, 8 p.m.
Saturday, March 9 — Orlando at Birmingham, 2 p.m.
Saturday, March 9 — Salt Lake at San Diego, 8 p.m.
Sunday, March 10 — Memphis at Atlanta, 4 p.m.
Sunday, March 10 — San Antonio at Arizona, 8 p.m.
Saturday, March 16 — Memphis at Salt Lake, 4 p.m.
Saturday, March 16 — Arizona at Orlando, 8 p.m.
Sunday, March 17 — San Antonio at Atlanta, 4 p.m.
Sunday, March 17 — Birmingham at San Diego, 8 p.m.
Saturday, March 23 — Orlando at Atlanta, 3 p.m.
Saturday, March 23 — Salt Lake at San Antonio, 8 p.m.
Sunday, March 24 — San Diego at Arizona, 4 p.m.
Sunday, March 24 — Birmingham at Memphis, 8 p.m.
Saturday, March 30 — Orlando at Memphis, 2 p.m.
Saturday, March 30 — San Diego at Salt Lake, 8 p.m.
Sunday, March 31 — Atlanta at Birmingham, 4 p.m.
Sunday, March 31 — Arizona at San Antonio, 8 p.m.
Saturday, April 6 — Memphis at San Antonio, 4 p.m.
Saturday, April 6 — San Diego at Orlando, 8 p.m.
Sunday, April 7 — Salt Lake at Atlanta, 4 p.m.
Sunday, April 7 — Birmingham at Arizona, 8 p.m.
Friday, April 12 — San Antonio at Salt Lake, 8 p.m.
Saturday, April 13 — Atlanta at Memphis, 8 p.m.
Sunday, April 14 — Birmingham at Orlando, 3:30 p.m.
Sunday, April 14 — Arizona at San Diego, 8 p.m.
Saturday, April 20 — TBD vs. TBD, 8 p.m.
Sunday, April 21 — TBD vs. TBD, 8 p.m.
Saturday, April 27 — TBD vs. TBD, 8 p.m.
Primetime games on Saturday and Sunday every week. Will they be able to compete with primetime shows? Also a Friday primetime game in week 10. Keep an eye on weeks 6-9 if March Madness ruins the ratings between those 4 weeks. I believe one of those games will land on the NCAA Final Four which would definitely ruin the ratings for that game. Also the Championship Game is on a Saturday which is interesting. After week 1. It appears that the AAF deviates from the two Saturday night games. A strategy designed to cover for the possibility of switching games if one of them is not competitive. It’s set up for them to have separate stand alone broadcasts on two different networks. With one game on Saturdays at 3pm, followed by an 8pm game. The same for Sunday’s. So this could be a straight up split from week 2 to week 10 between CBS Sports Network and the NFL network. Until the playoffs where all the games are on in prime time. Only 2 games get CBS network treatment. The week one opener and the championship game. First, I still can't wrap my mind around the AAF bing on NFL Network. That really means they are embracing the "minor league" mentality. Second, while two games all season for the AAF will be on broadcast TV, the XFL wants at least 2 games a week or more to be on broadcast TV! The competition right now between the XFL and the AAF is virtually nonexistent at this point. Do you think that March Madness could derail the AAF and/or the XFL? This is crazy but I am a proponent of The XFL having their league opener on a Thursday night in prime time after The Super Bowl. Open the league with St. Louis at home vs either LA or New York for maximum eyeballs. I expect that crowd to be amped up and if things play correctly on the league’s part. That should be a good sized crowd. Having the opener on Thursday would give the league no competition and be similar to the night, the NFL opens their season. Your point about March Madness is a great one. The original XFL got killed by the big tourney. It’s worth considering weeknight games during March Madness. Not sure about logistics but it’s a concern for sure. Good news is that the AAF will have to deal with March Madness first. 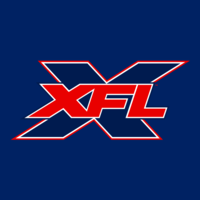 The XFL can see what they do, or where they went wrong. Maybe the AAF will figure it out and the XFL will copy, or the XFL will have to figure it out themselves? Good news is they have the gift of time.